Growing competition in content marketing will grow even further in 2019. To avoid falling behind in this competition, it is useful to pay attention to the following points. First of all, you now need to follow the trends of your readers or your users. I want to remind you that developing technology and social platforms have changed people’s habits and that they are no longer interested in the stereotypical content. For this reason, in 2019, you will only have to produce content about essential issues that have evolved in your industry, other than informational content about products and services. In addition to providing information, you can even navigate entertaining content types that readers will interact with. In this way, the reader will be more immune to differentiated content. In short, do not offer the same menu every day, add different flavours. Just as you are having a sectoral competition with competitors to sell your products, you have to compete with your competitors in the field of content marketing. Be more details as you create content to move one step ahead of this competition. In addition to getting more detailed information from your readers, you need to pay more attention to the content you have prepared to get more views and clicks on Google organic searches. You can produce more affluent, more engaging and more original content in Google’s eyes with different sources of graphs and numerical data. Social media is at the forefront of Internet users’ Internet usage. Social media platforms, such as pictures, videos, infographics, cartoons and GIFs, are among the ideal channels to reach the audience. Apart from organic traffic, you can draw your attention to your followers and increase it to the extent that it is relevant to your content, by sharing your content on different social media channels like Facebook, Twitter and Google+. It is now possible to say that written content reaches the saturation point. Beginning in the middle of 2018 and highlighting the visuals, this year ‘s share will be one of the most intriguing. 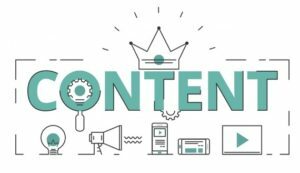 In the internet world where much content is being produced, it is now almost a short time for users to be interested in the content. In your social media accounts, think about how quickly you look at the contents of your home with one-finger action. In this fast-paced news stream, you need to share your content with creative imagery to ensure that the user is interested in the content. Content marketing continues in line with today’s Internet development and, as a result, changes in users behaviour. To make successful content sharing, you need to follow the trends very well, move towards trend-sharing types, and analyze the behaviour of the users you are addressing very well.